Make waves this summer in this playful, rose gold-plated brooch. 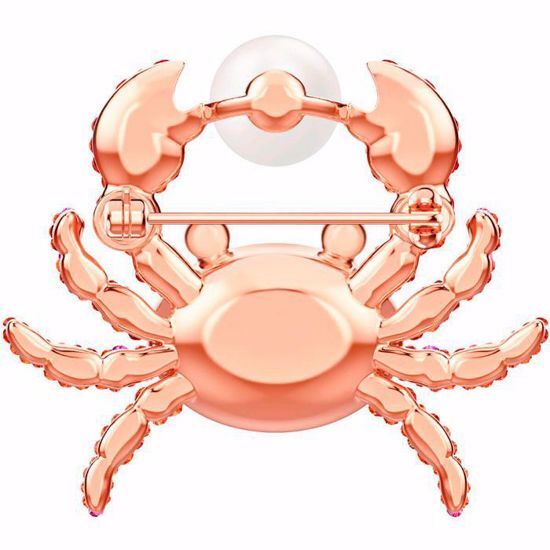 Glittering with our signature crystal Pointiage® and an orange crystal shell, the crab holds a shimmering Swarovski Crystal Pearl between its claws. Mix and match with pieces from the Ocean View or No Regrets jewelry families for extra vacation vibes.